The appeal of Instagram is the visually simple interface and ease of use. 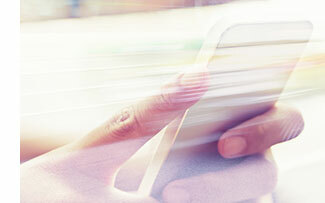 Users, called “IGers,” snap a photo with a mobile device, edit and apply filters, type a caption and post the image. The photo will appear in the social feed for followers to view as well as in the photo gallery on the account. Instagram is a creative and effective way to communicate through captioned images; a show-me rather than tell-me means of storytelling. Gaining the benefit is a matter of harnessing students’ excitement and engagement; providing students with the opportunity to learn how to use social media in creative, effective and responsible ways in scenarios they value. In fact, numerous middle schools and high schools are doing just that. By successfully incorporating Instagram into school-based communications, school and school districts are recognizing the benefits of using social media and building a positive school culture. For example, a high school Associated Student Body (ASB) uses Instagram to capture highlights and memorable moments throughout the school year. Under supervision of their ASB Advisor, student representatives create and curate photos and videos to post on the ASB Instagram account. Most schools communicate their technology related behavior policies through an Acceptable Use Policy (AUP), a static document that states the rules and boundaries for responsible use. All students, staff and parents must agree to abide by the policies in order to use technology for school-related purposes. But let’s face it, AUPs are often fraught with legal language that is difficult to read and understand, and a paper copy delivered home in September may be forgotten by October. Furthermore, students might not always make the connection between the policies they read and the ways that they actually use social media on personal or school accounts. The way to achieving the benefit while lowering risk lies in embracing that technology does change rapidly, policy needs to be pragmatic and accessible to work, and communication is ongoing. As in other cases, it is important to start with the end in mind, in this case a vibrant school culture, as opposed to just “covering the bases” in case something goes wrong. By involving students and parents in the process of developing guidelines for acceptable use, schools and school districts can create a policy that is meaningful and relevant to students, giving them a sense of ownership and membership in a community that they helped to create. Pull together a team including staff, administrators, advisors, teachers, and parent and student representatives to define the role technology should play in the school learning environment and community. Include hardware, online sites and services, community and student communications, including social media in that discussion. Define the critical success factors, those actions that need to happen for success and which will inform the actual policy, and compare it to an existing Acceptable Use Policy. Student involvement is a key piece in the puzzle as they can offer insight into how their peers use social media. With these outcome based criteria in hand, and a mark-up of the current policy, work with the school’s attorney to draft a new AUP document. This should be an iterative process that includes student representatives who will provide Administrators with valuable feedback; feedback that aids in developing effective guidelines for responsible use, and procedures for reporting misuse. Once the team has approved of the final draft, proceed to the next step. Transform your AUP communication from a “have to do” to a “get to do.” With your new policy in hand, inform everyone in the school or district of both the aspiration for how social media can contribute positively to the educational experience, as well as the social media guidelines and expectations for responsible use. 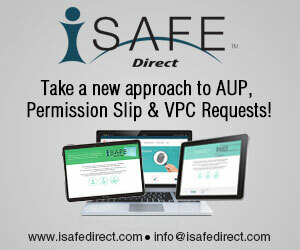 You can make sure that all of the necessary parties have reviewed, understood and signed the AUP by using i-SAFE Direct AUP which enables customized, rich digital document creation and real-time verifiable collection of signatures in the cloud. Since technology is ever-changing, review and modify the document annually, as needed, or even as a reminder. 3. Involve the parents. It’s their right. While the vast majority of parents support the inclusion of online sites and services within education, most of them aren’t fully aware of school policies or their rights under child privacy laws. School’s benefit from being transparent and informative about the value technology can add, and reduce their risk by have a verifiable consent process. The AUP is an important part of that effort, and should help parents understand how to exercise their rights, i.e. how to opt-out of their child using certain technologies--including social media. The i-SAFE Direct – My Ok service simply enables verified adults to review AUP and other permission documents, to sign them digitally, and keep a record. Unlike paper systems, My Ok is fast, so updating policies and getting community buy off is simple. In six months it is likely that something new will overtake Instagram, something that may not be reflected in policy or practice. By regularly repeating steps one through three, schools can make fast decisions about when to course correct or change direction. But by moving to a digital platform to communicate and verify acceptance of those policies, they can be more nimble in creating the right technology policy to enable a 21st Century classroom and community. Social media will continue to pervade student life. Adopting Instagram as a school-based communications channel presents students with real-life lessons in digital citizenship that will not only serve to build a positive school culture, but will benefit them in years to come. 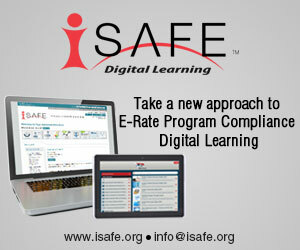 For more tips and best practices, download the complete Instagram Guide for Education with your subscription to the i-SAFE Digital Learning program.